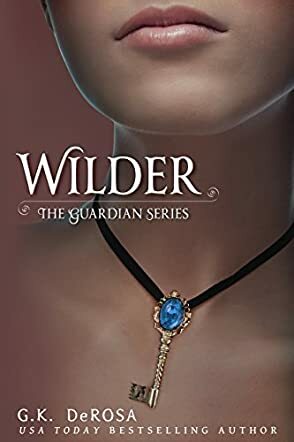 In Wilder, the first book in The Guardian Series, a paranormal romance by G.K. DeRosa, Celeste Wilder is an eighteen-year-old girl about to go to her dream university in the fall. A romantic who wishes to be swept off her feet like the heroines in all of her favorite movies and books, Celeste soon bumps into the gorgeous and very mysterious Constantin brothers who introduce her to an exciting new world steeped in the supernatural, with vampires and sorcerers and dangerous men harboring centuries-old vendettas. It's a world that she never knew existed but one she also belongs in when she learns that she is part of the bloodline of a secret organization, The Guardians. It's an exciting life, but a dangerous one, and soon she'll have to make a choice or follow her destiny. Wilder: The Guardian Series by G.K. DeRosa follows all the beats of the paranormal genre. Fans will get two hot guys to choose from, lots of secrets to unearth, and an ending that is sure to leave them hungry for more. Wilder is told from multiple points of view, and since there are a few flashbacks peppered throughout I was left confused in the beginning. However, Nico and Roman do provide a nice bit of distraction! Fans of The Vampire Diaries, The Mortal Instruments, and The Fallen series may find a lot to like by picking up a copy of Wilder and diving into this paranormal series.